The ultimate in light and accurate replacement barrels. 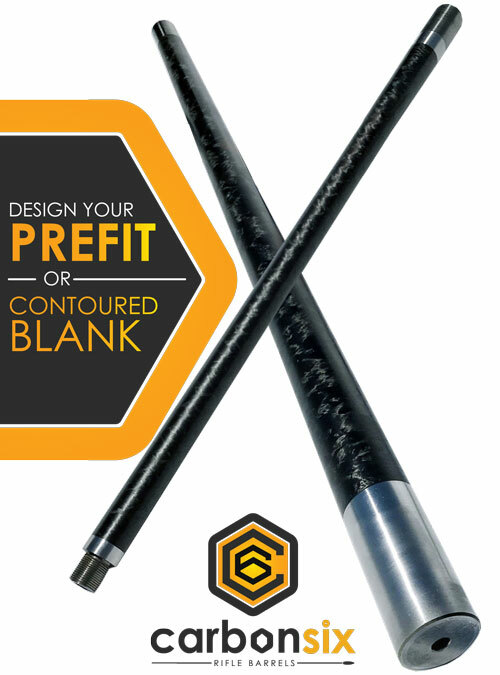 Order your Custom CarbonSix Prefit Rifle Barrel or Contoured Blank. Featuring McGowen Precision Rifle Barrel blanks, carbonsix barrels are feather-light and extremely accurate. As with any rifle barrel, lots of factors come into play. The two most critical are load development and the shooter. With proper load development, carbonsix barrels will easily shoot 1/2 MOA. While we cannot control the other factor, these barrels are extremely accurate. 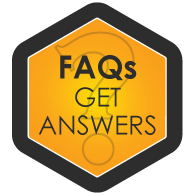 .20, .25 and .270 are CUSTOM Calibers and will incur an additional fee. Enter your muzzle diameter below. 1.15" MAX - Please Call For Availablity of Anything Larger. PLEASE NOTE adding a muzzle brake increases length by 2". For example, selecting an 18" barrel here & adding a muzzle brake will yield a barrel that is 20". Available from 16" - 26"
Available from 16" - 24"
Available from 16" - 30"
Custom Reamer Rental Required For This Caliber. Please specify the custom reamer required. This option includes a $75 reamer rental fee. Add Cerakote to your barrel steel or accessories. All Steel Includes all options listed plus action screws, scope rings and bases. Does not include Stocks. Want a color not listed? Just lets us know which one. Please note custom colors will add several weeks to your order. Add Muzzle Threading or Muzzle Threading PLUS a Muzzle Brake. PLEASE NOTE: adding a muzzle brake increases length by 2". If you selected a 20" barrel above and add a brake, your finished barrel will be 22" overall. 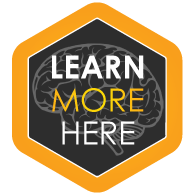 Includes indexing and installation. Need a nut? Select from the options below to add it to your order. Need a recoil lug? Select from the options below to add it to your order. If you cancel your order after work has begun on your barrel, your 50% deposit fee will not be refunded. If you cancel your order after work has begun on your barrel, you will be charged a 15% restocking fee. No Restocking fee will be charged if work has not begun on your barrel. 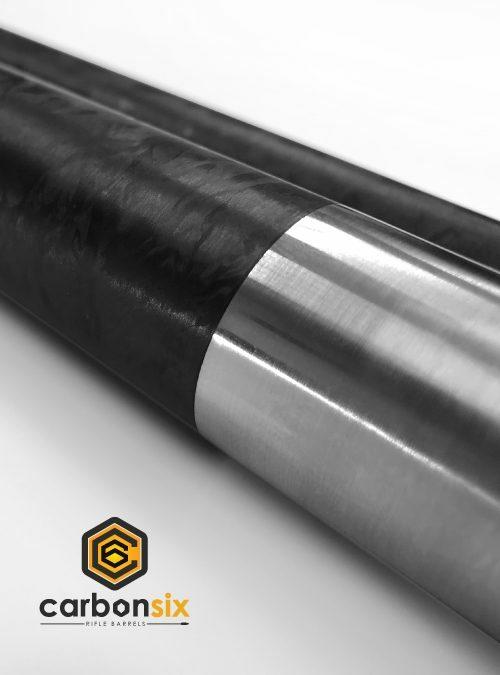 Buy your carbon fiber rifle barrel here. Check out our news section for happy customer images and the latest news. 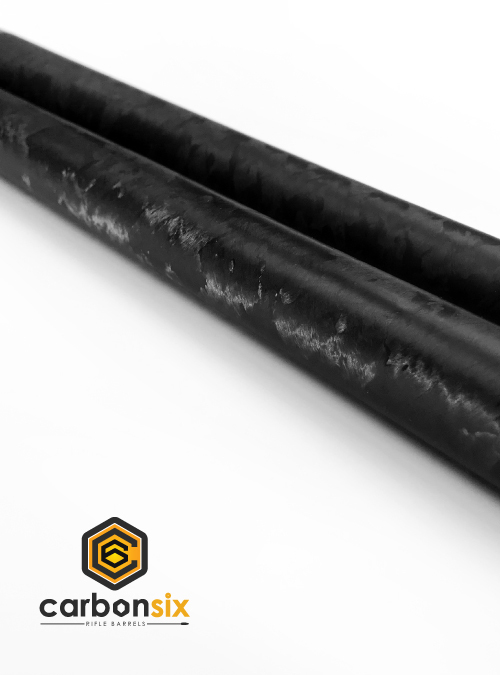 Carbonsix Replacement Rifle Barrels are designed with two things in mind. 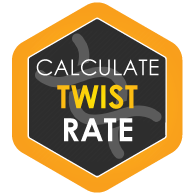 Weight reduction and accuracy improvement. We start with world-class McGowen Precision Barrel blanks insuring an accurate product. We then go through a multi-step manufacturing process to reduce weight, increase rigidity and ship your new barrel out directly to you. 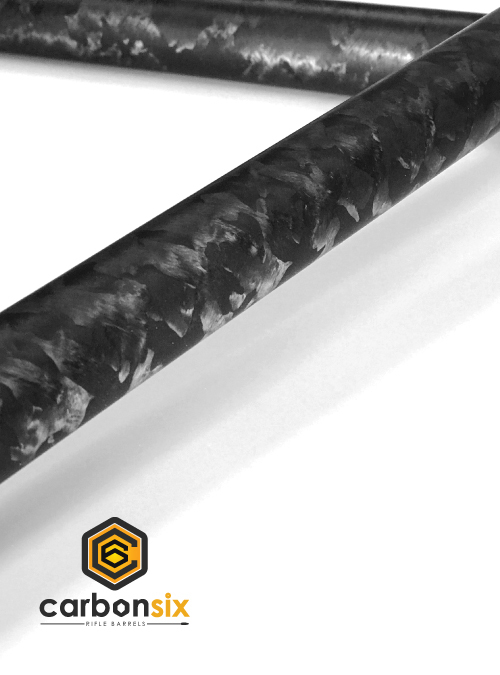 Order your custom Carbon Fiber Rifle Prefit Barrel or Contoured Barrel Blank.